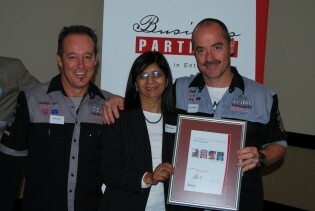 Our organisation has 20 + years experience in the auto parts business. During this time, many lessons have been learnt and huge changes have taken place in the industry. Our success is due to the fact that we have had to change to suit the requirements and needs of our customers along with the industry. Traditionally the customer had the choice of either new parts at a huge cost or second hand parts at a reduced rate. Our experience has been earned in the development of the second hand parts industry. We helped pioneer the specialisation in the used parts industry. This came about 20+years ago with the opening of our specialised used spares shops eg. Merceda/Merbeda stocking only Mercedes parts. Beemer/B+O spares with only Bmw parts. These shops then each added 1 – 2 brands to their bouquet to ensure success in the industry. Why Change the Winning Formula? Local and worldwide trends are constantly changing, due to our dynamic marketing style that has also had to change to guarantee our successes.Our successes have always been based on our customers experiencing the best benefits possible. Buying second hand, saves thousands of rand and the parts are normally original from recycled cars. Where parts are not available 2nd hand, our extensive worldwide travels proves that, we have now be able to source the right brand of new products at almost the same price as what we could supply second hand. This alleviates and saves the buyer a lot of money and the hassle of trying many different companies to try and locate the correct parts at the best prices. This has resulted in a shift of focus on our behalf, to sell quality new replacement parts for our preferred brands becoming a Total Solutions provider. These parts are all manufactured to worldwide standards guaranteeing quality at the most affordable price. We challenge anyone to check the quality of our parts. We do not sell cheap parts but quality parts at a cheaper price. This is due to the fact that we are direct importers and run our businesses on extremely tight budget’s & costing’s. Part 1 of our belief, to be successful in today’s market, to have the facility to handle all the requirements of our customer’s needs. Each shop specialises in only 4 brands and has become known for their specialist advice on each part associated with each vehicle they stock. Part 2 of our belief is to be a specialist and offer a total solution for your individual specification and need. A one stop shop for your specialised brand, end result being that a customer can buy all his required parts for his specific car from one shop. This would include panel beaters/workshops/private mechanics/engineering companies and the general public. eg : 10 years ago, you stopped at your favourite petrol station for petrol, diesel, water or air for your car. Today you stop there because they are a total solutions provider to you, still providing you with your necessity of petrol, diesel, water & air but offering extra in terms of a convenience to you and your family at one place, where now it’s just not your specialised petrol station but you can buy your basic necessities as well, eg refreshments, bread, coffee etc. This has changed due to the demands of the modern business environment. We believe the future of parts lie in providing, a “Total Solution” for the needs of the industry at the best possible price. Our international sourcing ability combined with worldwide trends has created a path for our customers to benefit and save them money, we are happy to update our focus and adapt our business thinking and style. Our 20+ years of pioneering and experience can be easily passed on to a new perspective business owner. What has taken us 20+ years to learn & adapt can be thought in a matter of months. 2. The commitment to achieve success. 3. Finances to make your dream a reality. 4. We will train and assist to get you to the top. Hope this helps you to better understand our basic requirements.